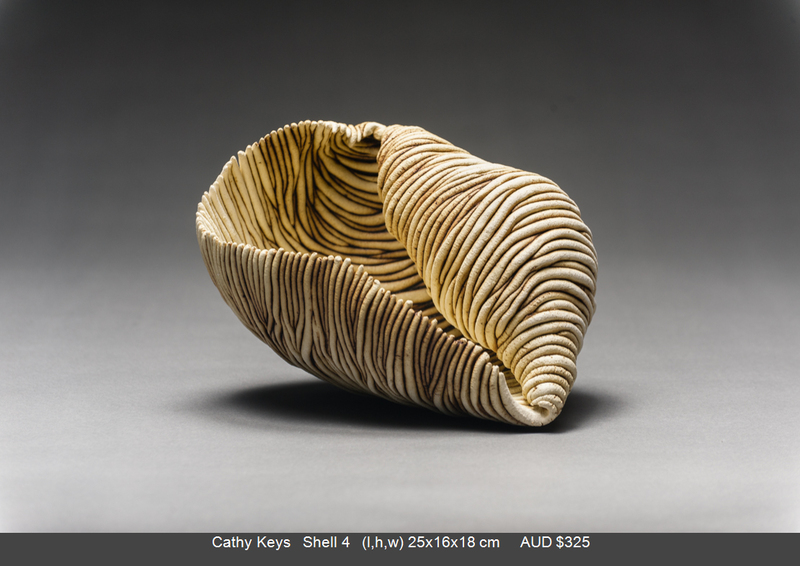 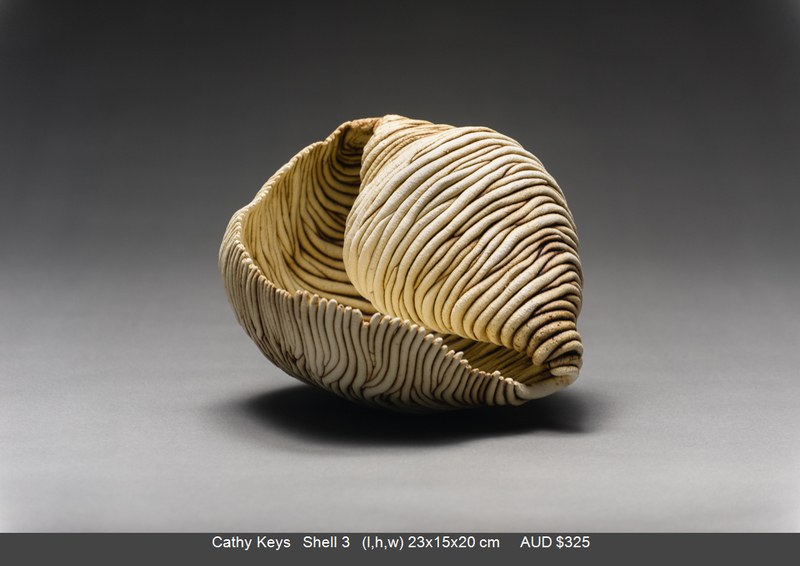 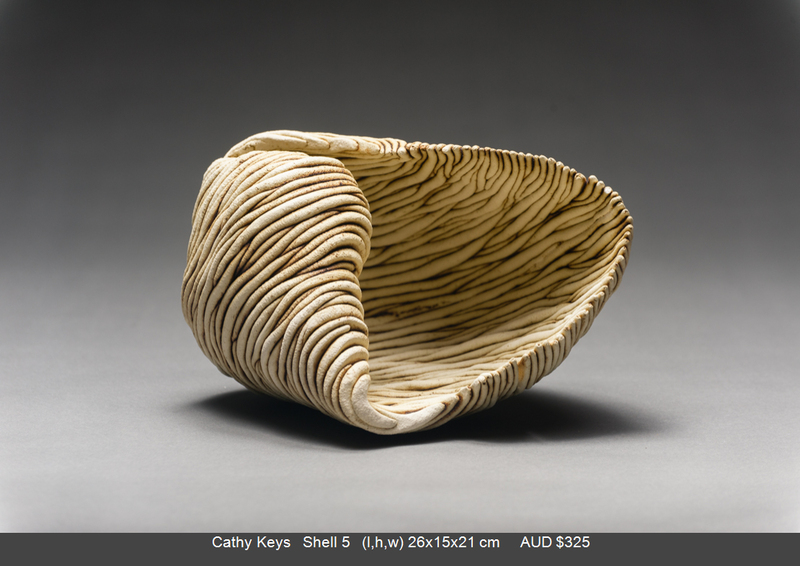 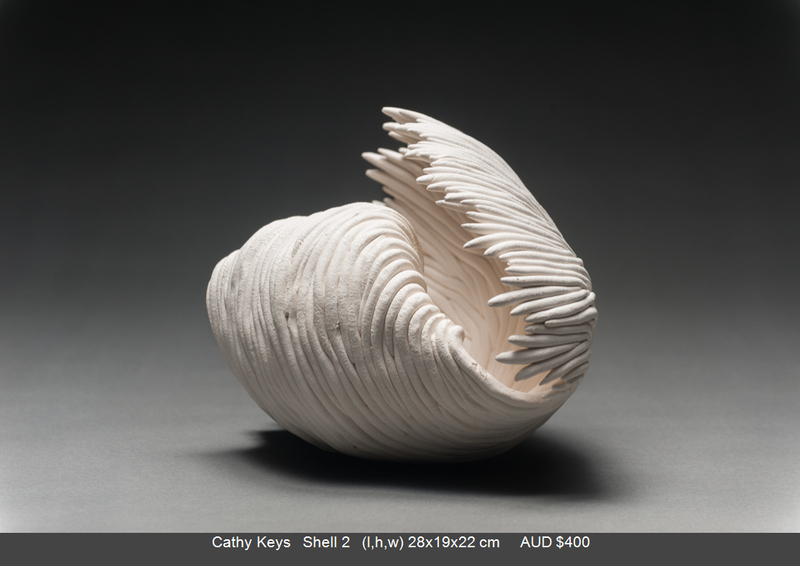 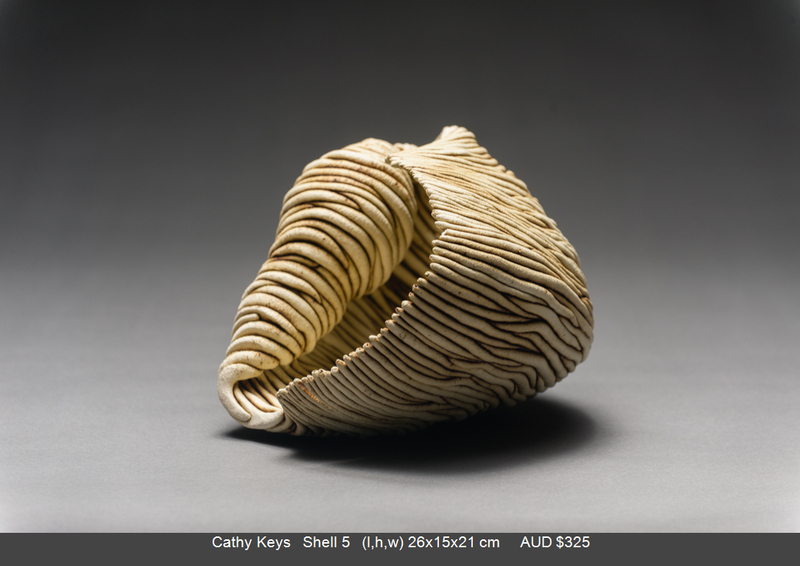 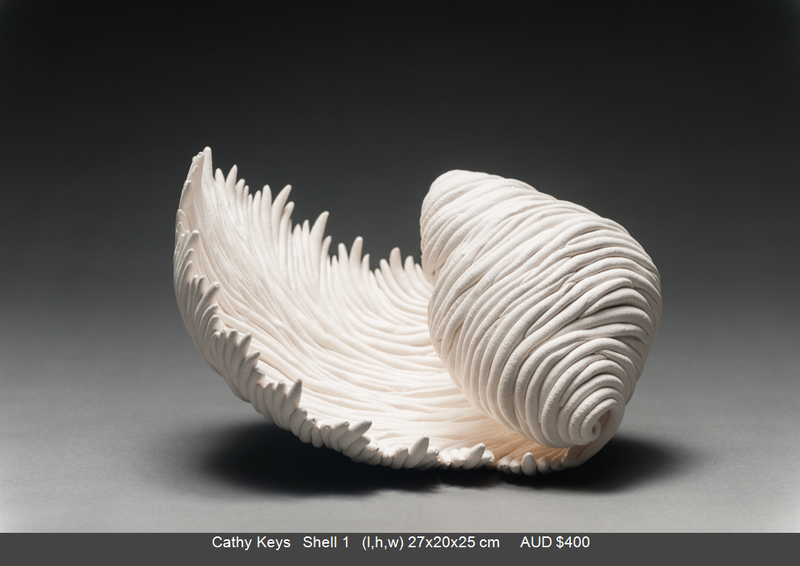 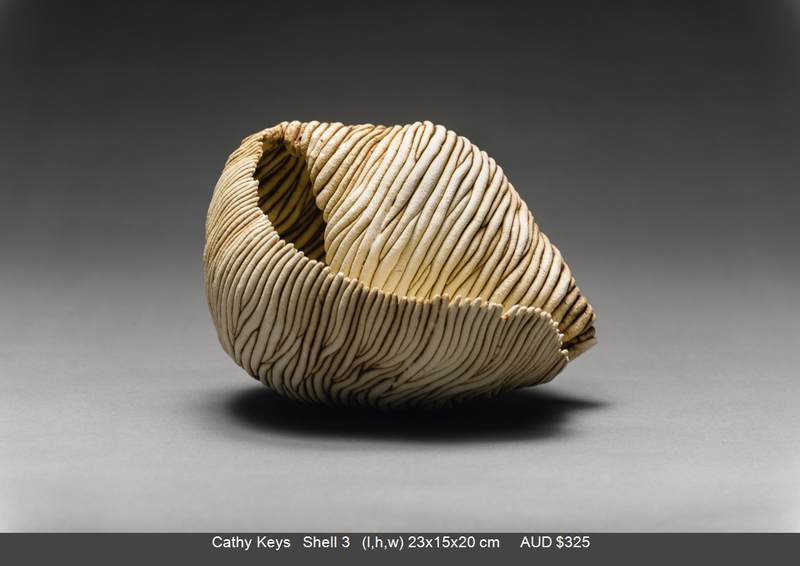 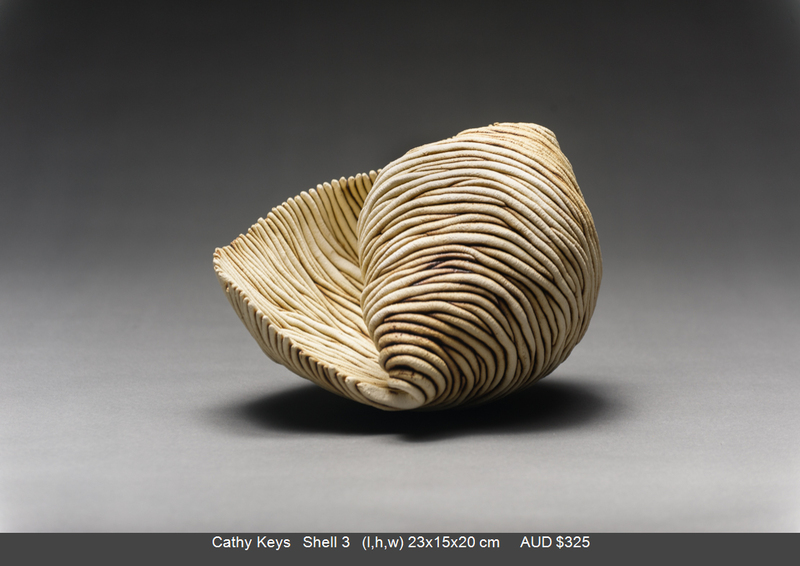 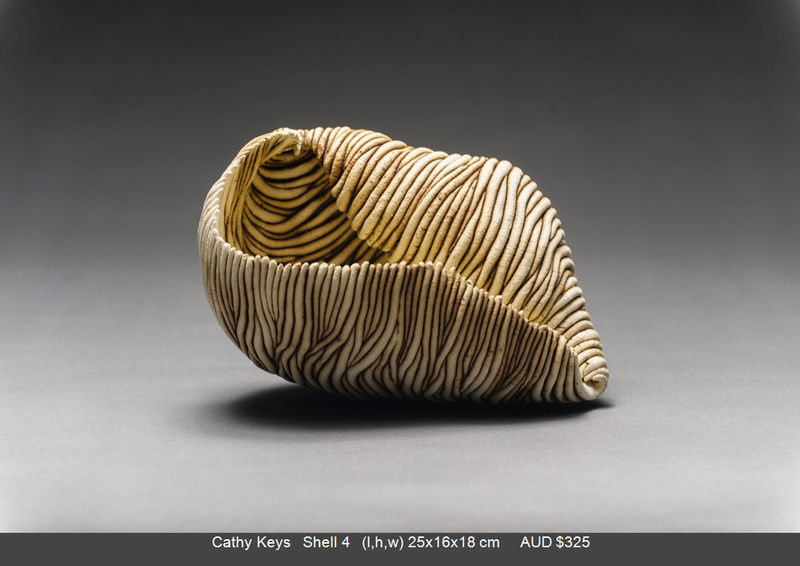 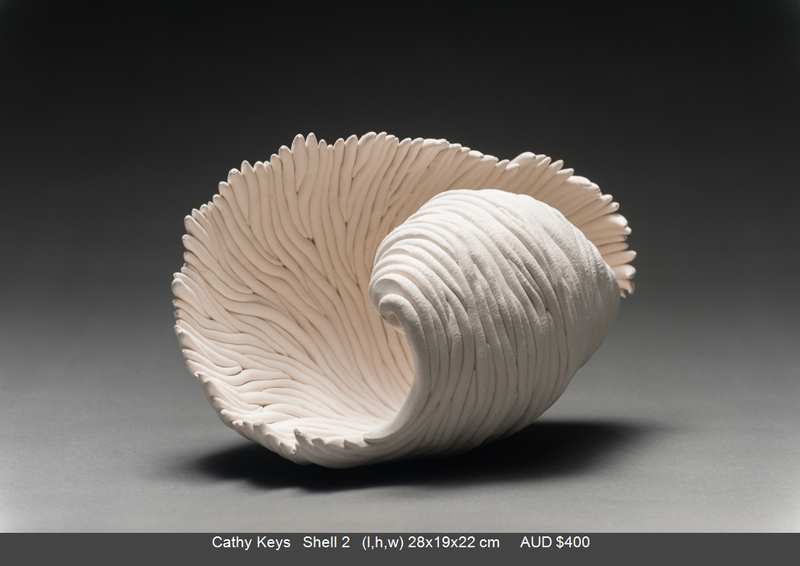 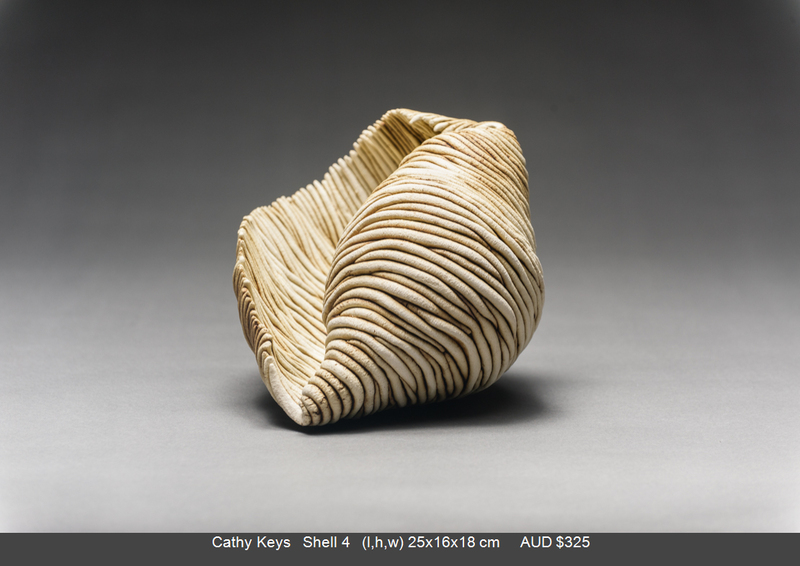 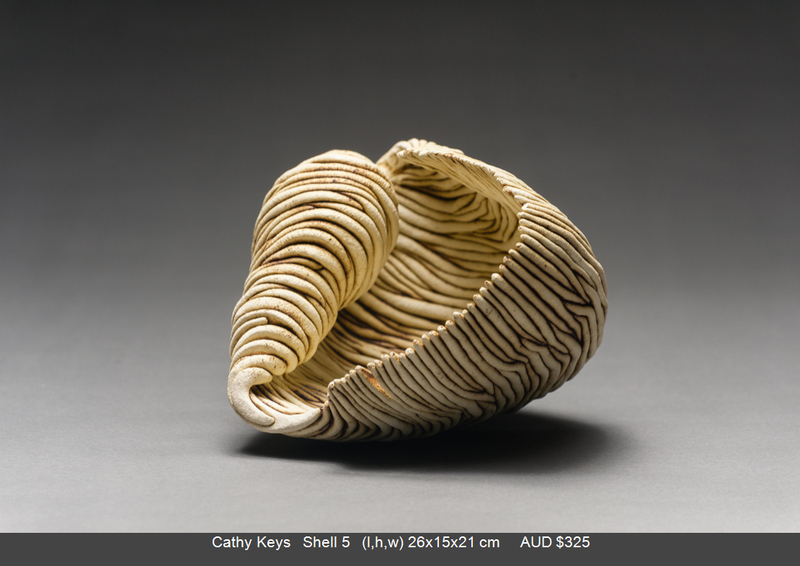 This collection of ceramics marks a return in focus to the Australian coastline. 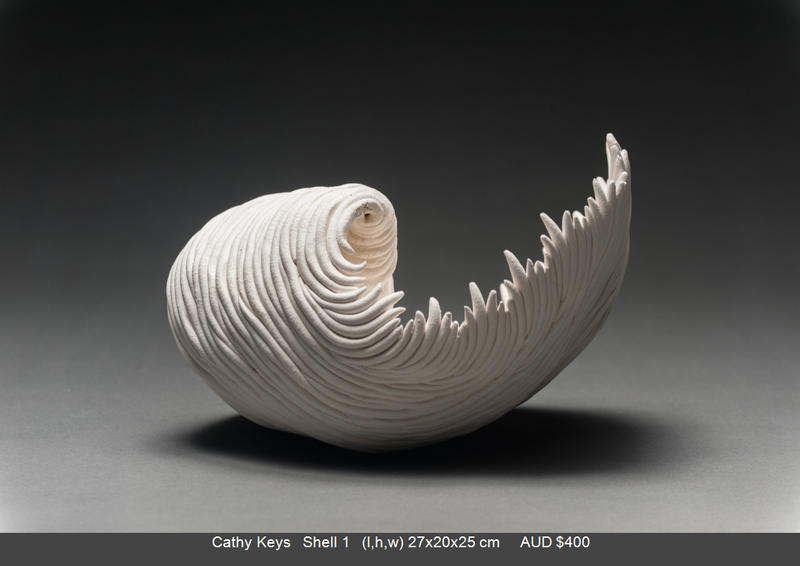 The forms were inspired by my love of the complex and beautiful geometries of worn and broken shell fragments washed up on the sands of South East Queensland. 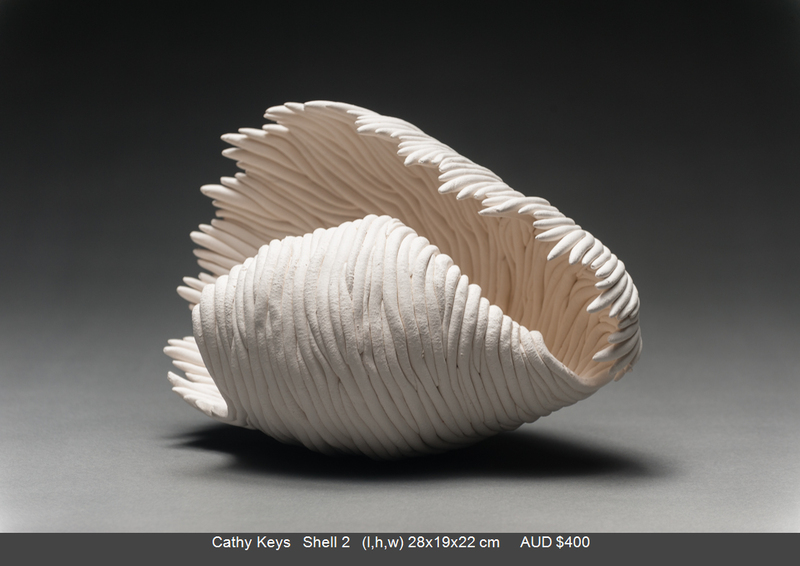 The surfaces were informed by the battering and patterning of sand, sun and sea water and I hope convey a memory of times spent barefoot on the beach. 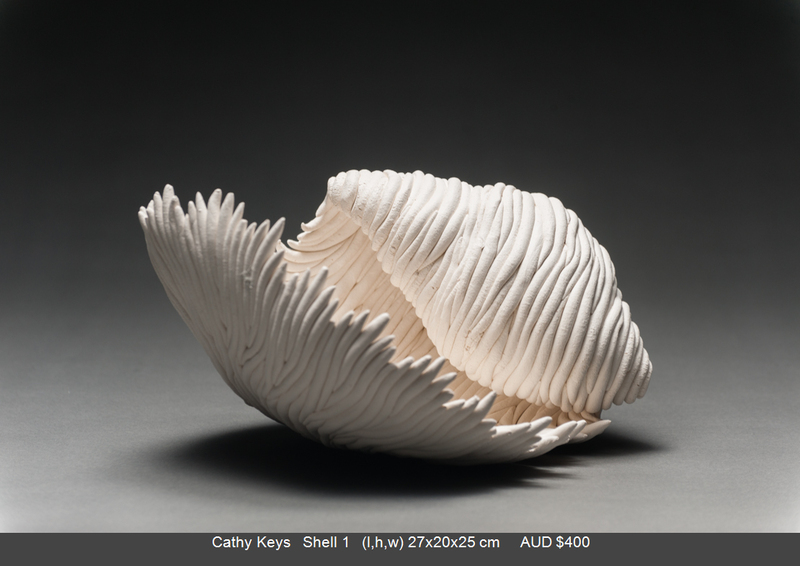 I found that the creation of each form really challenged the limits of my hand, craft and materials.